Running as a sport and the facilities that we compete on have come a long way over the years, from the open fields of the Greeks to the high-tech sports arenas of modern-day stadiums. As a producer of running track surfaces, we wanted to highlight some interesting facts about the sport and its history. 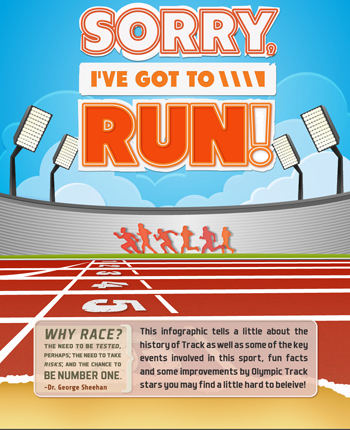 Hopefully our infographic will help inspire you to work the track, stay in shape, and maybe even set some records of your own. Happy running! You can embed this infographic on your blog or website. Simply copy the below code and paste it into your website.